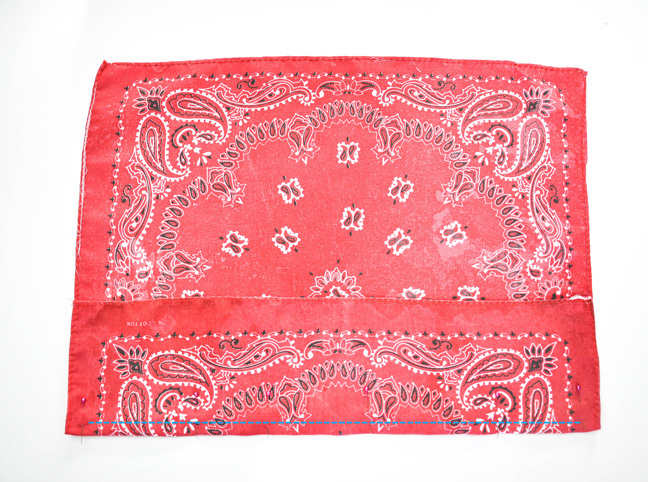 Bandanas are the perfect fabric and material for quick projects becuase all the edges are hemmed for you. 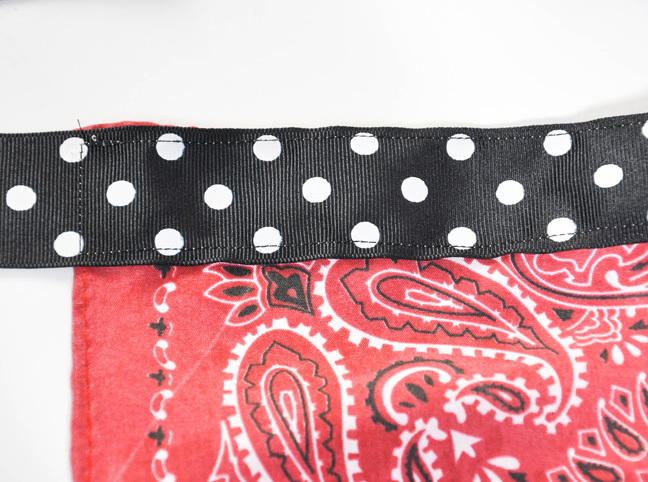 This bandana apron comes together in 30 minutes or less, and the kids love it! My daughter uses hers while playing restaurant. 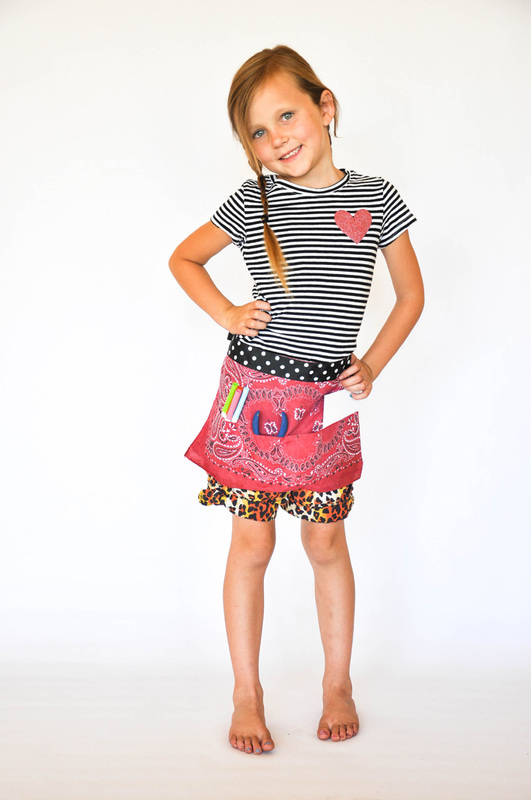 I easily cutomized the pockets to hold all of her waitress job duties too! 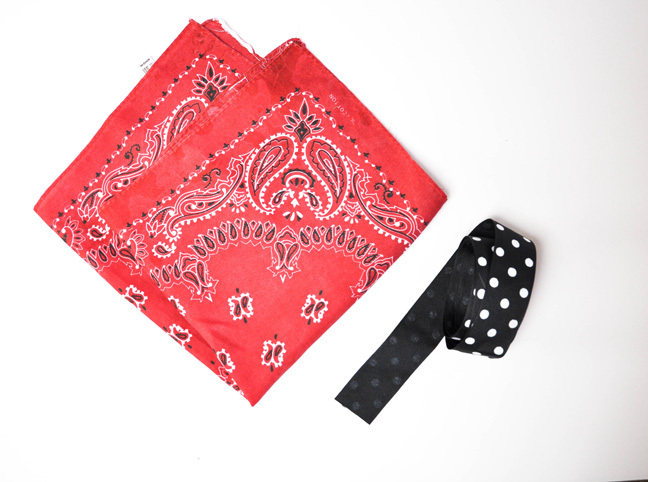 Step 2: Flip the bandana to the right side and bring the bottom up to create a pocket. Stitch the bottom closed as shown above. 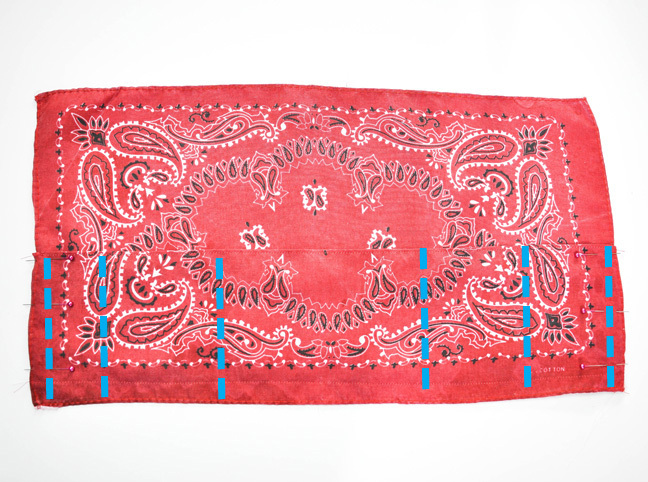 Step 3: Stitch the ends closed and stitch additional vertical lines to create pockets. 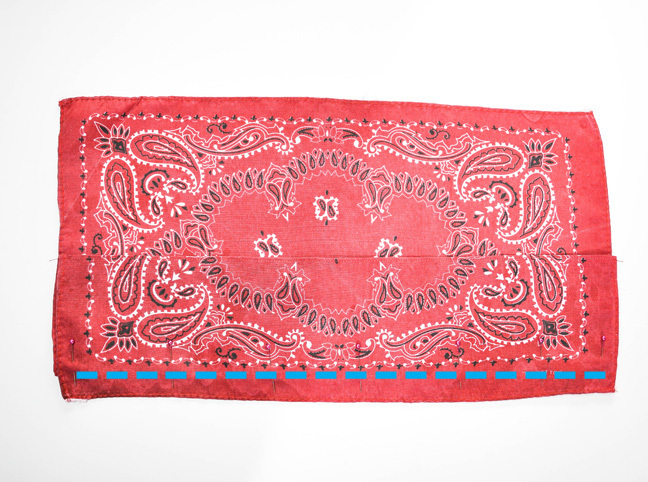 Step 4: Place the center of the ribbon and the center of the apron together and pin in place. 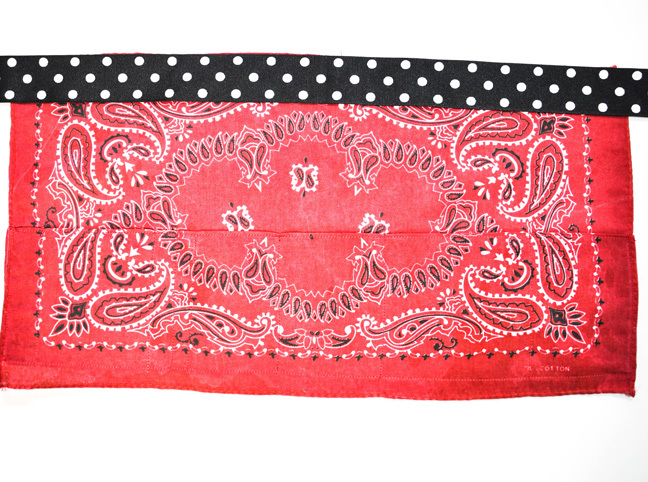 Step 5: Stitch the ribbon to the top of the bandana and you’re done!